Ishanaa Nidhi Rambachan began researching Indo-Caribbean Hindu temples in Minnesota while a senior at Eastview High School. 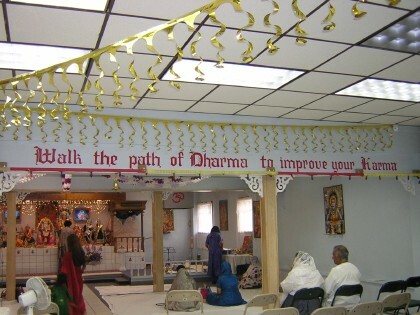 Although the subject of Asian migration to the United States has received much academic attention, the communities of Hindus in the United States are not limited to South Asian origin. A significant proportion of the Hindu diaspora in the United States is from Fiji, Mauritius, South Africa, East Africa and the Caribbean. 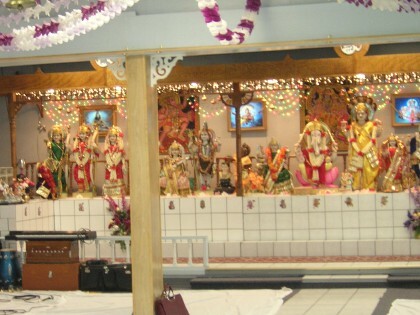 Rambachan conducted research on the Indo-Caribbean Temples in the Twin Cities, focusing on the Gayatri Mandir (Brooklyn Park), Vishnu Mandir (Minneapolis), Milan Mandir (Eagan) and Satyam Mandir (Minneapolis). These communities practice a unique form of Hinduism and are largely influenced by the duration of their time outside of India and long adaptation to Western culture. Through observation and interview at the mandirs themselves and community events, she collected information regarding the history, leadership and nature of the organizations. Rambachan observed community interaction and the influence of socio-economic status on worship. She noted the use of English in worship as well as materials used. 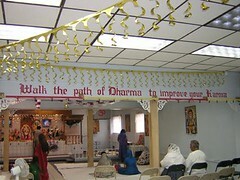 Through journeying to the Hindu Temple of Minnesota, she contrasted its practices with those in the Caribbean temples. Rambachan also traveled to the Caribbean during the summer and connected worship in Indo-Caribbean temples to their roots in this part of the world. Dr. Anantanand Rambachan was the faculty sponsor for this research.